10 years ago, a group of ragtag fans decided to do the impossible. They decided to screen a beloved movie and raise money for the most worthy of causes – EQUAL RIGHTS FOR WOMEN AND CHILDREN AROUND THE GLOBE. Of the many CSTS events going on – CSTS-LA is once again doing the impossible! Once you see the schedule below you’ll see just how FIREFLY PACKED this day is going to be. All this Firefly Fan stuff all packed into the same room! 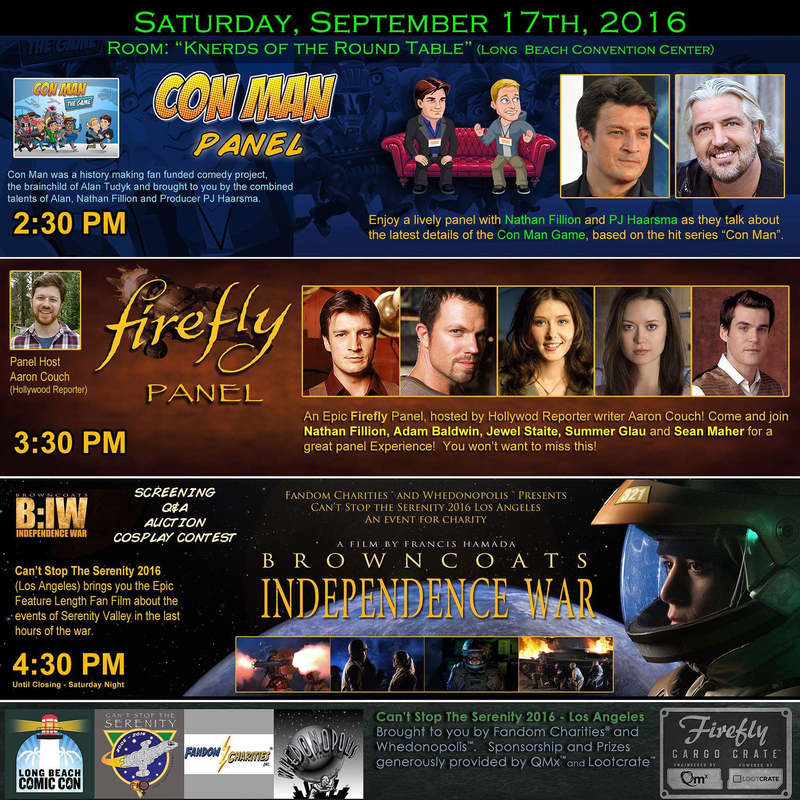 Auctions, Firefly Cosplay Contest!, prizes, an EPIC MOVIE plus an amazing lineup which needs no introduction! Heck this ONE room is non stop Firefly stuff from early afternoon all the way into the night! Best Part is 1 admission covers the Con AND CSTS! Don’t forget to hop on down to CSTS-OC in October! Autumn is a GREAT TIME TO BE A BROWNCOAT!